UK based manufacturer Flare Audio has introduced the first product from its new ‘Space’ Technology speaker range. The unit aims to provide clarity, detail and eliminate resonance. By doing this, Space Technology ensures no rear-reflected sound wave damage, and as a result is pure sound, audible exactly as the artist intended. Space Technology can be scaled to every level of use with no deterioration of quality. The same true sound created in the studio can be delivered to every audience; whether at a live gig or listening through a home audio system. The first product in the series, Space S1, is now launched; a reference speaker targeted to DJ markets. Preview units have already achieved acclaim from industry users: “The amount of detail is incredible” said Colin Barlow of RCA, Sony UK, “These [speakers] are really quite amazing,” added Chris Kimsey, Producer for the Rolling Stones, Peter Frampton and Duran Duran. 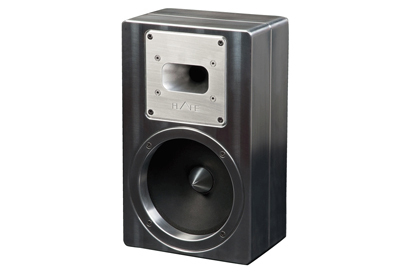 Made from solid block aerospace aluminum and measuring 200mm x 320mm x 130mm, S1 has also been developed to provide artists and engineers with a reliable and trusted point of reference that provides a true acoustic interpretation of their source material. Weighing in at 10kg, features include rotatable HF waveguide, multiple dispersion options, Flare Audio Neodymium drivers, 125Hz-32Hz frequency response and 6.5” 125w / 1” 50w bi-amped power handling. Future products encompassing Space Technology include Space X5; a live music product with a high level of noise control and impressive size/power ratio, planned for release early 2013. The Space S1 from Flare Audio is available now, with additional products due out in the coming months.